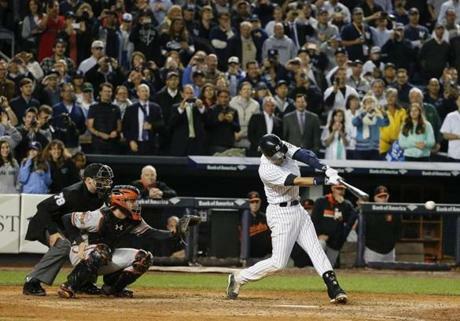 Derek Jeter capped his Yankee Stadium farewell with a game-winning, walk-off single in the bottom of the ninth inning. 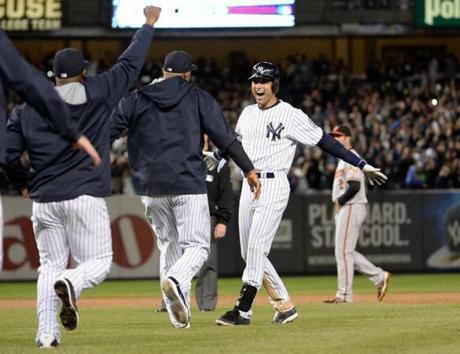 The Yankees beat the Orioles, 6-5. 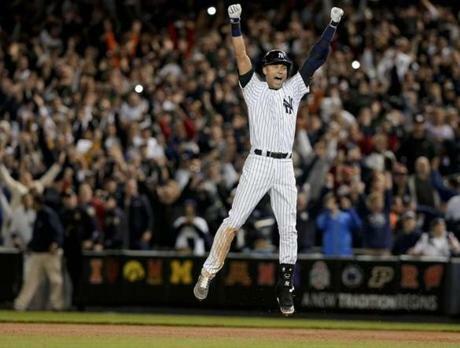 Jeter celebrated when the winning run crossed the plate. The Yankees poured out of the dugout after the win. Jeter was mobbed by his teammates after driving in the winning run. CC Sabathia and Brett Gardner dumped Gatorade on Jeter during the postgame celebration. 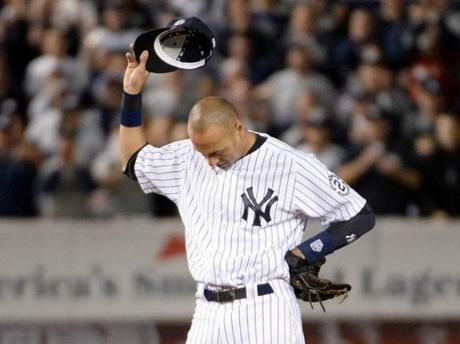 Jeter acknowledged the fans chanting his name in the 8th inning. 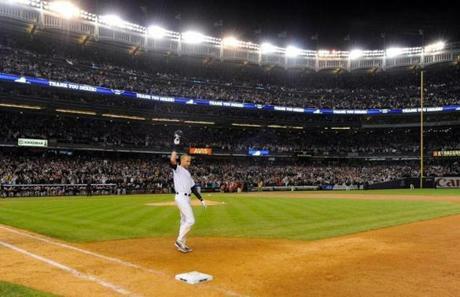 Jeter saluted the crowd after his walk-off single in the ninth inning.